Holy Trinity Greek Orthodox Church of Greater Orlando, INC.
Fun for the whole family! Come out and enjoy authentic Greek foods, dancing, live music, church tours, iconography presentations, and much, much more! Beef and Lamb Meat with Onions, Tomatoes, and Tzatziki Wrapped in Pita Bread. 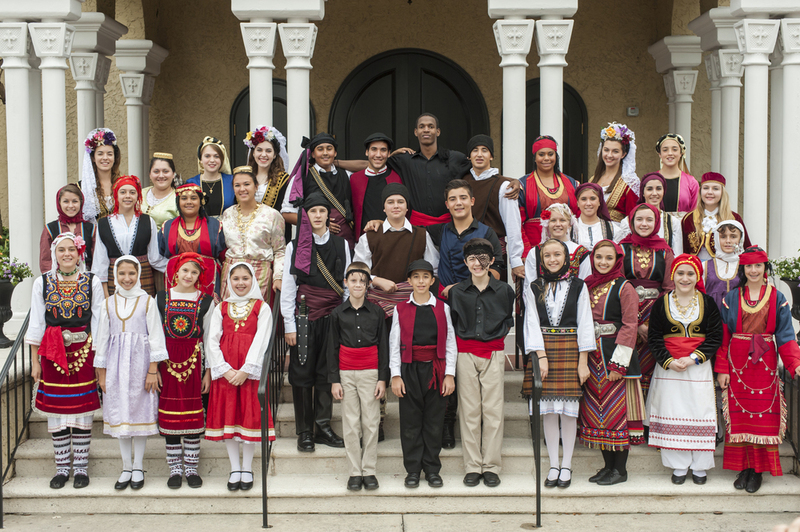 DANCE PERFORMANCES ALL WEEKEND BY THE MEMBERS OF HOLY TRINITY'S HELLENIC DANCE PROGRAM. MUSIC WILL BE PROVIDED BY "A NIGHT IN ATHENS". ICONOGRAPHY PRESENTATIONS, CHURCH TOURS, AND VIDEO PRESENTATIONS. THERE IS SOMETHING FOR EVERYONE OF ALL AGES TO ENJOY! Trivelas Music also promotes the music of George Antonopoulos, a bouzouki virtuoso & entertainer extraordinaire. George is from Pireas Greece and has performed through-out Europe, Canada, the USA & parts of Central America (aka "the greek Elvis" in the midwest). Coming from a family of talented musicians, George performed as a bouzouksis with Holiday In Greece, Makis Christodoulopoulos, and in many of the clubs in Montreal, Chicago, Detroit, New York & Los Angeles. The result of this collaboration is a trio called "A Night In Athens" show-casing the raw high energy talent of George Antonopoulos that mesmerizes audiences from the first note to the last. The music is as authentic and gutsy. The atmosphere is charged. George's exhilieration is infectious. Joanna adds her voice to George's and Nick's rounding out the trio, as they perform the current Tsiftetelia, Zebekika, and Syrta; the well known Dimotika, (Kalamatiana, Tsamika, Nisiotika); and Rebetica. If you are interested in becoming a sponsor or advertising at our next Greek Festival, please contact Holy Trinity at 407-331-4687 or download these forms! There are many opportunities available! If you are interesting in being a vendor, please complete our vendor application form (pdf). Parking is available on the church lot for $5.00. We do not guarantee a spot on the church lot. For your convenience we provided a free shuttle bus that will take you to and from the church. The shuttles are located in the office buildings on the corner of Wymore and Hope Rd. and is approximately 1/6th of a mile from the church. They are air conditioned and they drop you off at the church which will take you to the main entrance. We do provide handicap parking if a handicap sticker is displayed on your vehicle. We hope this decreases the amount of confusion and if you have any question about parking please feel free to contact the church office at 407-331-4687. ..
Holy Trinity Orlando- 1217 Trinity Woods Lane, Maitland, FL 32751. Contact Holy Trinity Reception Center to book your next special event! !